This vividly written memoir describes the author's experiences as a young girl growing up in an atmosphere of uncertainty and fear during and after World War II, when her family's hometown was seized and occupied during the Nazi invasion of Poland. The book begins with a description of the initial Nazi bombing of Brest, Poland, as seen through the eyes of an eight-year-old girl. A glowing flashback follows, describing an extended Russian family in the years between World War I and World War II. 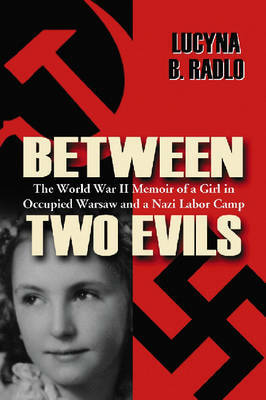 Moving to Warsaw to avoid the imminent Soviet occupation of Brest, the author recounts the realities of life in occupied Poland, including the arrest by the Gestapo of her father and his death soon after in Auschwitz, the family's participation in the black market and the Warsaw Uprising, and her capture and incarceration with her mother in a Nazi forced labor camp.Released from the camp, the author and her mother join their Russian relatives in Austria, but soon must leave with them to avoid approaching Soviet forces, experiencing a month-long, venturesome, often comical journey on an oxen-driven cart back to the U.S. zone of Germany. During the four-year wait for emigration visas, the author completes high school and interpreter's school in a displaced persons camp, while also assisting her relatives establish a number of creative enterprises, and then subsequent resettlement in the United States gives free rein to the family's business acumen and sense of adventure. The memoir concludes with the author's wedding to a U.S. Air Force officer and the beginning of a long, happily married life.